On the 11th January, 1838 Sarah Ann Strand and William Bullock Cone, husbandman of Aldham, eldest son of James and Harriet Cone were married in the Aldham Parish Church. Sarah was the daughter of Samuel and Sarah Strand, a farmer at Yew Tree Farm, Aldham. William is thought to have taken over his father's farm a year later when his father moved to a farm at Whatfield a few miles away. It is known that William used to ride to hounds so it is thought that he was fairly well off for those days and for his age. In 1848, sorrow came to the Cone family - in January came the death of William's infant son Charles and in April, William's wife Sarah Ann succombed to TB after a 4 month illness; her death only to be followed in May by the death of William's father, James Cone. They are buried at Aldham Churchyard. On the 9th of August 1850, William Cone married for a second time to Caroline Adams, spinster of Aldham. There were to be no children from this marriage. William Cone - Head of family, Married aged 36; Farmer of 70 acres and 2 men; born Aldham, Suffolk. New wife Caroline did not meet with the relation's approval and just under a year after their marriage, William decided to sell and immigrate to New Zealand. William Cone, Caroline, and the four children left from Gravesend, London on the sailing ship "Bangalore" on the 9th May. Caroline and Sarah Ann were both ill on the voyage. (Diary) There were just 159 passengers even though the Bangalore could carry 250. Some immigrants preferred to wait for the next two ships which sailed not long afterwards so the vessel was not overcrowded. The Bangalore arrived at Lyttelton on the afternoon of Thursday, 21st August 1851, after a voyage of 104 days. 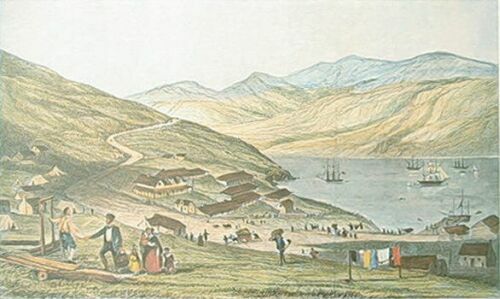 The family stayed for a short time at the Lyttelton Immigration Barracks which are in the centre of this William Fox painting, before starting their ascent of the Bridle Path to Christchurch plains below. The family settled down at the Ferry Road close to the Heathcote River in one of the very first wooden permanent houses erected in Christchurch. William bought if from the ship's captain who had brought it from England, pre-cut in sections ready for erecting. It is not known if this was from the Captain of the Bangalore but it was packed over the Bridle Path and put together by the side of the Heathcote river on Ferry Road, and close to the old Ferry, and the family moved in. In those days scores of small ships used to bring cargo from Lyttelton up the Heathcote. It is thought that William did contracting work, carting goods from small ships berthed at the Ferry as he kept horses. 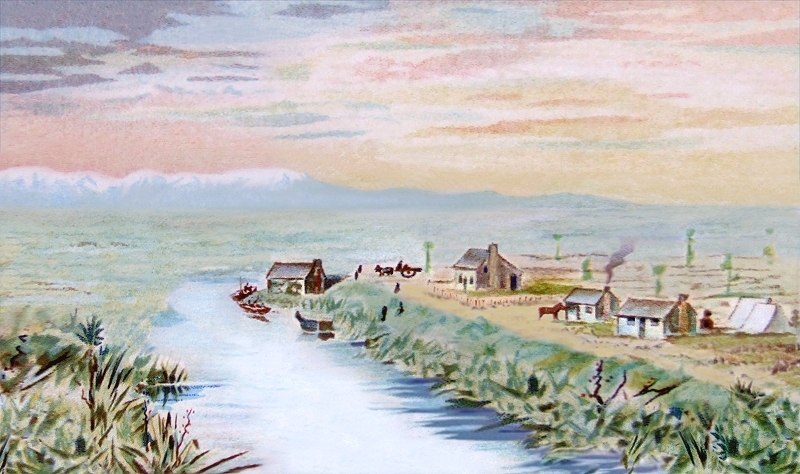 This 1852 painting shows the vaste empty plains around Christchurch, just as the Cone family saw them on reaching the summit of the Port Hills after arrival before descending the Bridle Path. The Heathcote ferry can be seen in the bottom right hand corner and William Cone's house would be erected among those houses in the middle. Christchurch is in the distance. It was less than a year later, on Wednesday evening, the 2nd of June,1852, when William Cone aged 37 years, had almost completed his journey from Lyttelton over the Bridle Path riding the horse he had just bought when it shied and threw him. The fall broke his neck, an accident when he was almost home. When someone went to his home to tell his wife the news of his tragic death, his 8 year old little daughter Sarah Ann hid behind the door and so heard the news that way. An inquest was held at the Heathcote Arms at the Ferry, the first held in Christchurch and it was presided over by Dr Donald, the Coroner and 13 jurymen on the 5th of June 1852. The "Lyttelton Times" reported on 5th June 1852 - "An inquest was held today at the Heathcote Arms at the Ferry before the Coroner Mr McDonald and thirteen Jurymen on the body of William Cone who fell from his horse on Wednesday night on the road between Mr Townsend and the Ferry and was killed on the spot, his neck being broken. Mr Parker and Mr Fairfield gave evidence with respect to the melancoly event. The coroner recapitulated the Evidence and verdict of accidental death was returned. It was added that it is desired that a more efficient means should be taken to render the road safe and fit for travelling." The "Lyttelton Times" 12th June 1852 said; "The remains of the unfortunate man Cone who was killed on the Bridle Path were deposited in the cemetery here on Monday afternoon. He had been a quiet, good natured man and having been much respected, his body was followed to the grave by many who had known him." William Cone was buried in the Barbadoes Street Cemetery on the 7th of June 1852 in what was termed the Plantation Plot. 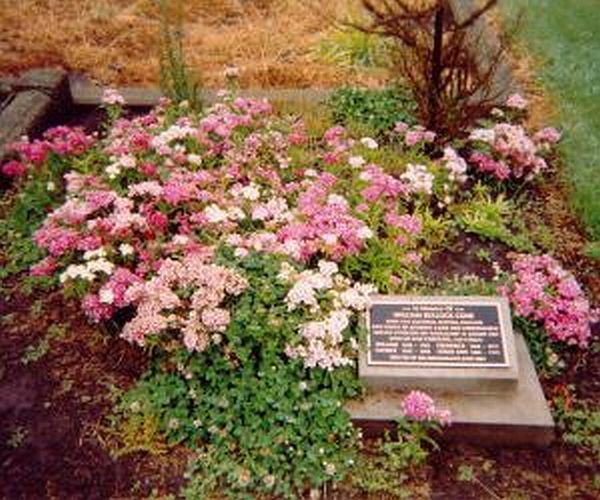 William was the 20th person buried there.A plaque has been placed on his grave to commemorate the 150 years since the family's arrival in Canterbury. William did not live long enough to see much of New Zealand and the family were left in the care of their stepmother, Caroline.